Another thing to consider is, that a lot of tournament players these days sell pieces of their action, so they are not entirely playing for their own money. And if the list does not take losses into account, it is mainly a list over, who is most active in the high stakes tournament scene. Good point about the selling pieces of action that is so common these days in tournament poker. It is true that many players on this list did not actually "win" as much as stated, their backers did. The thing with using a tournament winning list is some of those players won a large field...any list that has Jamie Gold listed and not Brunson (both) Chip Reese or Phil Ivey is obviously flawed as all time best. Call list top 50 tournament money leaders. so hard to rely on winnings when the super high rollers and One Drop can single handedly vault you on to an all time list w/ a single win. the other thing that Hendon Mob has never acccounted for is money spent on entering the tournaments. bricking 10ks, 25ks, 100ks, 250ks . . . is not free! Yup good points. I do wish somebody would compile a list one day with tournament buyins subtracted. That is a very important point. It is perhaps unlikely, but in theory some of those people on the list could actually have lost money playing tournaments. Overall money list is cool, but we also have to consider the payout amounts. For example, twenty years ago, the top prize was $1 mil. I think last year it was $8.8 mil? So I could have won 5 titles back then, and you win one these days, but because you won $8.8 mil and I only won $5 mil, you're the better player? I'm not sure how to settle the debate (fields are definitely tougher these days and you have to go through a LOT more players to win), but I don't think we can look only at money when considering the best players of all time. Good points about the payouts versus the tougher fields of today. 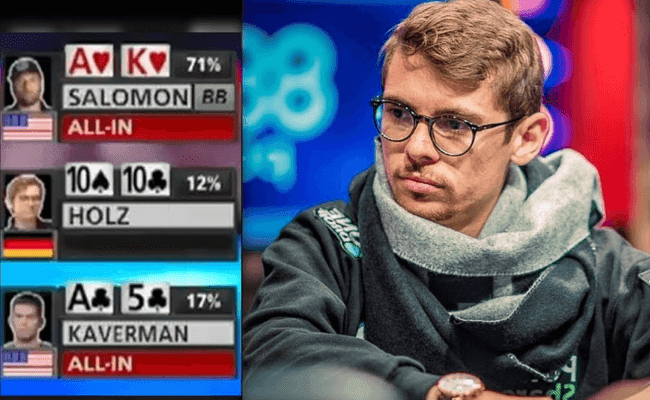 Historically, and even today to a large extent, the great cash game players and the great tournament players (however measured), are different breeds. I get it that it's not possible to account for cash game players by counting winnings, but that simply means the list is (a) skewed and (b) incomplete, particularly as it has no room for the true greats of the game (any list of "greatest" that can include Jamie Gold and not Doyle Brunson is absurd on its face). So I take it all with more than a single grain of salt. I agree, and I am pretty sure Doyle has made far more in poker than Jamie. I wonder where Stu Unger and Chip Reese would have come if they were 40 years old now? Comparing different eras is tough. If they evolved with the game, as I am sure both of these players would have, they would probably be among the top. I'm sorry, but I can not agree with that. A list of the best poker players without Stu Ungar content is not right. He was probably the best of times. At that time, however, there were not enough money to win. Unfortunately, there was the drug addiction. That does not change his incredible poker skills.